Putting an end to speculations, Xiaomi has announced the launch of its much-anticipated Redmi Note 7 (review) smartphone in India. The company’s India head Manu Kumar Jain took to Twitter to reveal the handset will make its debut in the country on February 28th. The Redmi Note 7 India launch event will be held at 11:30am IST in New Delhi. Since the phone has already been launched in China, the biggest draw from the event will be the Redmi Note 7 price in India and the release date. Ever since the Redmi Note 7 was launched, it has been talked about for its 48-megapixel sensor. The high-resolution primary rear sensor is backed by a 5-megapixel depth-sensing snapper and LED flash. For selfies and video calling, it gets a 13-megapixel shooter at the tiny display cut-out up top. The phone sports a 6.3-inch IPS LCD display that bears full HD+ (1,080 x 2,340pixels) resolution. The Redmi Note 7 has a respectable Qualcomm Snapdragon 660 SoC ticking at its core. The phonemaker ships the handset in China in three RAM and storage configuration: 3GB + 32GB, 4GB + 64GB, and 6GB + 64GB. All three variants are likely to make their way to India. On the software side of things, the handset boots Android 9 Pie-based MIUI 10 out of the box. The entire setup is run by a beefy 4,000mAh battery with fast charging tech. 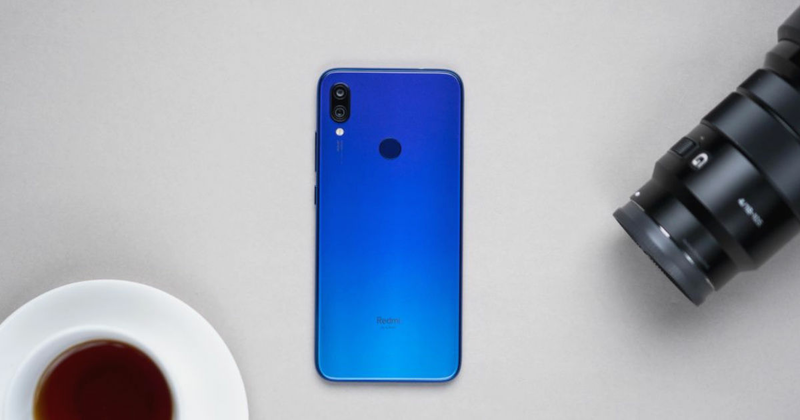 Other features include a rear-mounted fingerprint sensor and connectivity options like USB Type-C, 3.5mm headphone jack, 4G LTE, WiFi, Bluetooth, and GPS/ GLONASS. The Redmi Note 7 price in China starts at RMB 999 (~Rs 10,000) and it’s available in Twilight Gold, Fantasy Blue (with gradient finish), and Bright Black.